Create your own personal listings search in less than one minute! You will have access to ALL PROPERTY DETAILS for every listing. You will be notified immediately by email when a new property comes to the market matching your search criteria. A private web site that shows all matching listings will be created automatically for you. Access is completely free without any obligation! $1,200,000 | 0 Bd - 5 Ba | 5,000 Sq Ft (approx.) | Residential or Commercial Life is Beautiful!.. Recognized as # 8 Among the Top 250 -2018 NAHREP (National Association of Hispanic Real Estate Professionals) Latino Agents and # 1 in the Southern Region of the United States, in which Puerto Rico belongs, this being her first year in the organization. 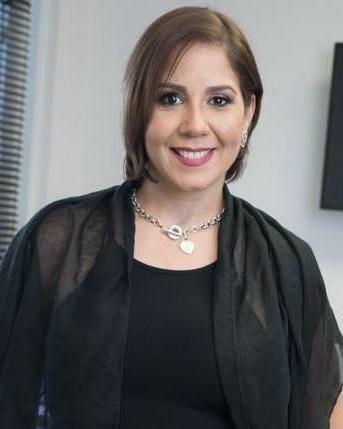 She has belonged since 2000 to the Mayagüez Board of REALTORS®, occupying several positions within his Board since; Secretary, President of different committees, until occupying the Presidency of the Mayagüez Board, for a period of three terms (2002-03, 2003-04 and 2016). She has been a property delegate and active member of the Board of Directors of the PR Association of REALTORS® and president of several committees in 2010, 2011 and 2015. In 2003, she was honored as distinguished Lady of the town of Cabo Rojo where she lives, receiving Proclamation of the PR Senate. In that same year she entered as a Honorary Member for life in Who's Who Registry. Since 2010 he is part of the Association of Event Coordinators of PR, ASOCOOR. The blue circle drawn on the map represents the area which is most likely to contain listings comparable to 257 San Justo St Old San Juan, PR. If you wish, you may adjust the circle by dragging the white center handle to move it, or dragging one of its other white handles to resize it. Press the 'Next' button at the top when finished.